For fans of the Mortal Kombat franchise - or, heck, fighting games in general - today was a day-long looked forward to. 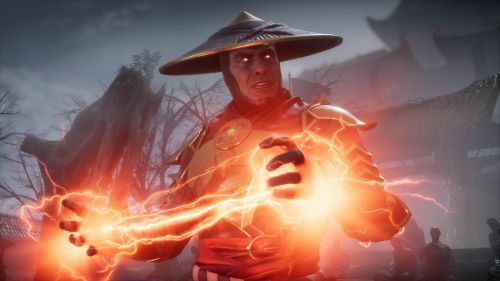 Warner Bros. Interactive Entertainment and NetherRealm Studios gathered fans and press alike to reveal brand new gameplay footage and characters for their upcoming blood-soaked fighting game. You can watch the entire presentation here, but we'll give you the rundown after the jump. Host Joshua Grey came out to welcome the crowd, then introduced MK co-creator Ed Boon to the stage. Boon would then introduce some brand new game footage, including seven characters that would be included in the game. Much like NetherRealm's previous game, Injustice 2, players will be able to customize characters and preset different loadouts to their liking. After demonstrating new moves and the always entertaining fatalities, we got our first look at the opening cinematic to the game. You can watch it yourself in the video, but let's just say it's as dark and bloody as you would expect from a Mortal Kombat game. New character Geras was also revealed, who appears to have some array of time manipulation powers. Other characters confirmed are Scorpion, Sub Zero, Sonya Blade, Skarlet, Baraka, Raiden, and the aforementioned Geras. Those who pre-order the game will get to play as Shao Khan, as well, bringing the current total to eight. Speaking of Sonya Blade, it was announced that her character will be voiced by UFC Hall of Famer and current WWE Raw Women's Champion Ronda Rousey. This will be the first time that Rousey has been involved in a video game that didn't feature herself as a playable character. While we got plenty of new information and footage, there's plenty more to be revealed before the April 23rd release day. Keep your eyes right here at Sportskeeda for any new additions to the game, and use the comments below to tell us what you're looking forward to.